This July, the University of Southampton is commemorating the 200th anniversary of Jane Austen’s arrival at Chawton House, which inspired some of her most famous novels. Jane Austen wrote and revised some of her most famous works while living in a cottage in the village of Chawton in Hampshire and visiting the Chawton House Estate, owned by her brother. Mansfield Park, Emma and Persuasion were all composed during this period, while Pride and Prejudice and Sense and Sensibility were revised. Austen has become a worldwide phenomenon and on 9 July hundreds of scholars and enthusiasts from as far a field as Japan, North America and Sweden will converge on Chawton House Library for the conference ‘New Directions in Austen Studies’. “We are regularly contacted by Jane Austen societies far and wide; Buenos Aires in Argentina, Australia, from almost all continents in the world. Her popularity knows no bounds,” says Stephen Lawrence, Chief Executive Officer at Chawton. The conference will examine a range of diverse topics such as; why Jane Austen has become such a global icon; how her writing fits with Japanese and other global literature; and what effect, if any, war had on her writing. The event will conclude with a concert at Chawton Church featuring period music performed by University musicians. 2. 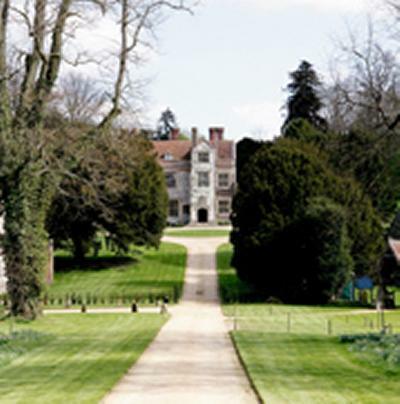 Chawton House Library has established close academic links with the University of Southampton. The University has considerable strengths in the fields of women's writing, history, and the visual and material culture of the long eighteenth century. The University’s Dr Gillian Dow is academic advisor at the Library.